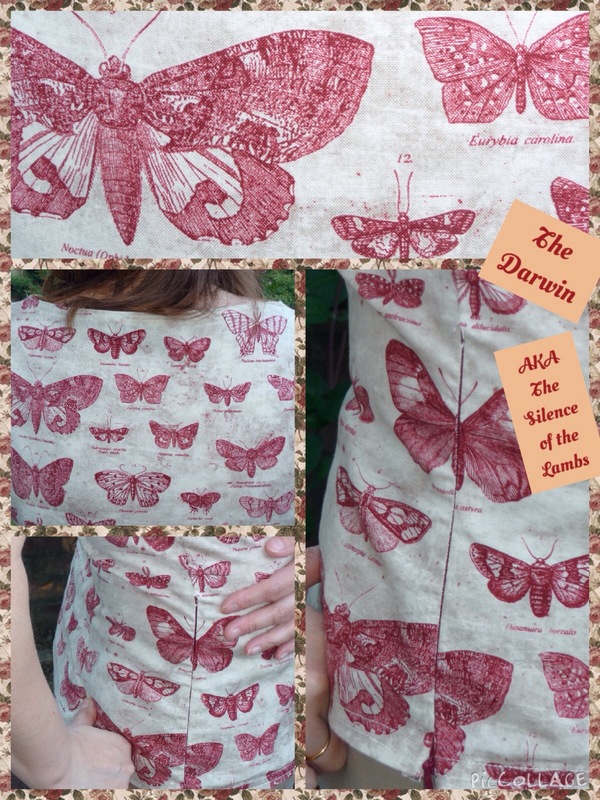 AKA The Silence of the Lambs shirt! “Darwin?? More like Silence of the Lambs”!!!! It has put me off a little! 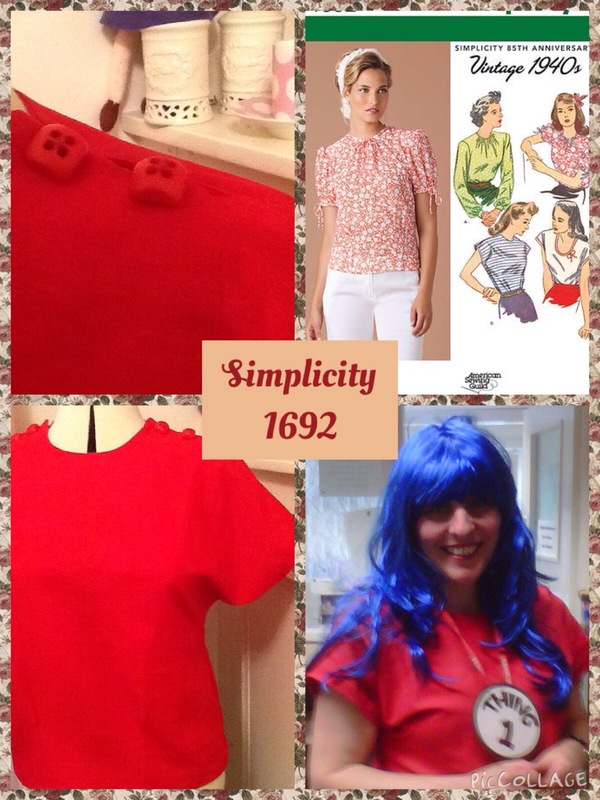 I used Simplicity 1692 with some slight alterations. I had made it before for World Book Day when I was Thing One! I bought the fabric from Hobbycraft. It is one of our biggest craft shops in the UK and we have one quite close to where I live. The fabric is a lovely cotton and I thought it would be a nice summer blouse. BUT I haven’t worn it yet! I think the neck is too big and so need to put some small darts in at the back. Everything else about it went very well….nice concealed zip, some quite adequate pattern matching of butterflies and a co-ordinating pair of trousers in the wardrobe! I sewed the shoulders up this time instead of having buttons and added some cap sleeves. Notions: 7inch concealed zip, thread. Wonkiness: 7/10. 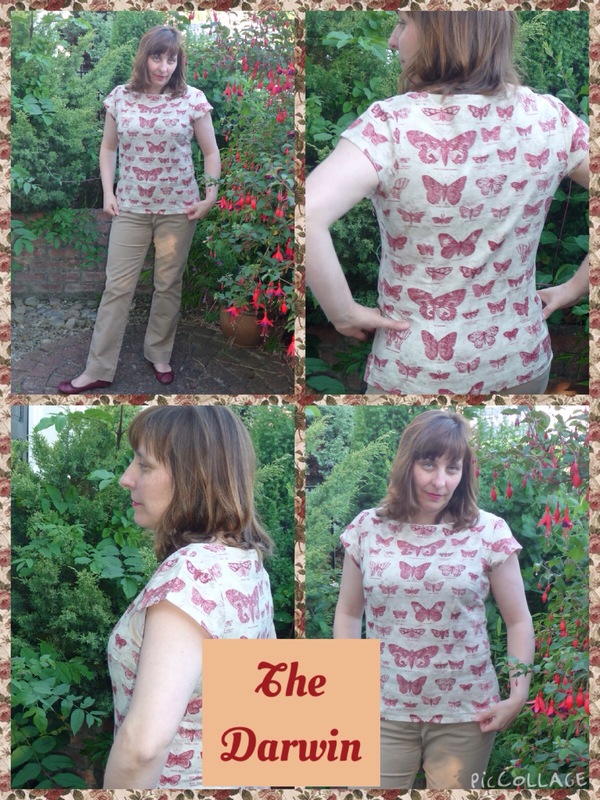 The problem is the fit …..not the wonky sewing! Is that under the same classification, I wonder? That’s a great silhouette on you! I don’t think it looks “Silence of the Lambs,” but you could embrace it and goth it up a little bit with a black leather jacket and jeans. Too old?! Nonsense. Are the Fashion Police going to arrest you? Hah! Your son is funny. 🙂 Great top, do hope you take in the back neck so you wear it a lot — it looks like a great fall top that can go with many colors of pants/skirts/etc. That fabric is beautiful. I’ve never bought from hobbycraft – is it expensive? I work with taxonomists who would LOVE this fabric! It was quite expensive £16 a metre, but it is beautiful quality. I just bought what I needed ! Yikes! I’ll save that until a really special project comes along. Its bloomin gorgeous though….. I love this fabric, Amanda and it looks great made up into your blouse. Your son’s comment made me laugh. Silence of the Lambs?! It looks lovely on you, and matches your trousers perfectly 🙂 These men!! The tones in it really suit your colouring too. Thanks Theresa! I need to alter it and wear it. I will look nice with maroon trousers for Autumn I think! 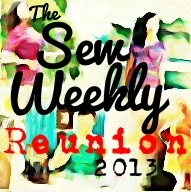 What are you sewing this weekend? How did grey dress wear? Oh look forward to seeing that! Have a good Sunday. My sister coming for lunch so no sewing !! Thanks! Kids!!! Hahaha I think that is why I haven’t rushed to wear it!